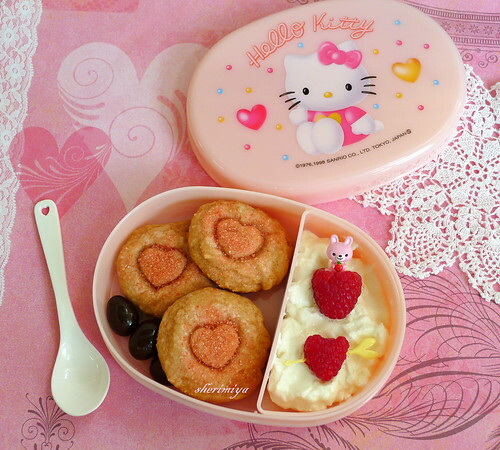 Valentine Snack Bento, a photo by sherimiya ♥ on Flickr. Oh my gosh, they are super cute! Happy Valentine's Day! So sweet. Thank you Bentobird ! I like it with a lot of heart !! red and pink the color of Love !! (sorry for my bad english !!) ...Happy Valentine's day !! I've just featured your blog in my recent post My Favourite Blogs @ The Science of Happy. How kind of you. Thank you so much TSOH~!